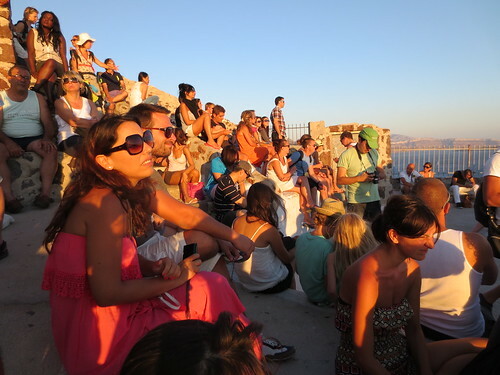 Nonplussed tourists wait for a sunset in Oia, Santorini. Photo by Rhea. My piece on visiting one of the most popular Greek islands without all the bustle appears in today’s Washington Post Travel section. This is my first story for Post Travel and I’m thrilled to see it! Reporting the story wasn’t so bad, either. Read Losing the tourists on tourist-mobbed Santorini.